We’re fortunate to have some very heavy hitters in the architectural field based here in the area celebrating a pretty big milestone. Pryer & Morrow Architects and Engineers are celebrating 30 years of business with a fun little video. Roger and Chris have made huge impact across the region with several high profile projects, and their energy and expertise has helped keep the Golden Triangle as strong as ever. They’re not just good for business, they are flat-out great! The Steel Industry is Booming in the GTR! SDI is staying strong as an important building block of our local economy. 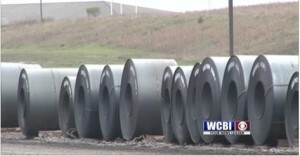 — Click the link below for more information and a video courtesy of WCBI! GTR LINK is on-hand for the opening of Steel Dynamics’ new multi-millon dollar plant! 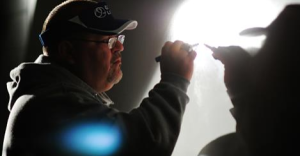 The LINK brings the thunder again, as Steel Dynamics breaks ground on their $100,000,000 paint facility! 40 more jobs for the Golden Triangle, and 100 million more reasons to be sure that the GTR LINK and Jo Max Higgins are good for business!! 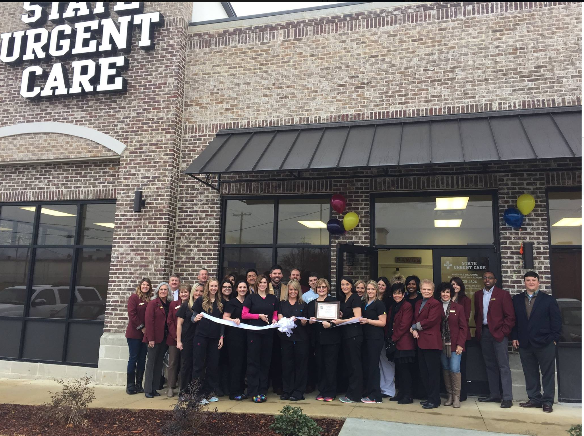 Starkville welcomes a new clinic and all of its wonderful staff to the city! The Greater Starkville Development Partnership is excited to welcome State Urgent Care to Starkville and as a member of the Chamber with a ribbon cutting. Courtney, Misty and staff at State Urgent Care can be found at 521 South Montgomery Street in Starkville. Congrats to the Brislin Family for 60 Years in Business! Congrats to the Brislin family, they are an integral part of our community, and an amazing family as well! The Golden Triangle is a better place because of their efforts and integrity.